Where Do West St. Paul's 2018 Candidates Stand on David Meisinger? I do not condone the described behavior. But Mr. Meisinger can speak for himself regarding his own actions. 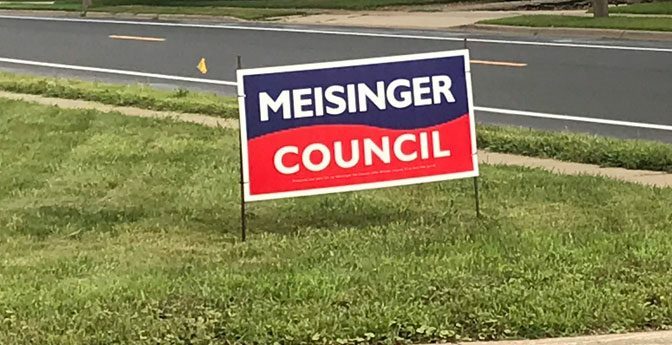 And the people of Ward 3 will decide if Mr. Meisinger should serve on city council next year. I think people’s actions should speak for themselves. I want to focus on my campaign and what I can do for our city if elected. I do not condone his behavior. It is his right, [but] I do not condone his actions. I have openly and enthusiastically supported Wendy Berry’s run for city council and have volunteered for her campaign. Due to this, I feel it is inappropriate for me to respond directly to this question. I will state that in all instances, I stand in opposition to sexism, intimidation, and harassment. I, in no way condone such behavior or actions. Mr Meisinger will have to face the judgment of the citizens of Ward 3. They will have the final decision on his behavior. My efforts will be to concentrate on the people of ward 2. Do I condone his recent behavior outlined in your article? Absolutely not. Do I think he should continue his campaign for city council? Mr. Meisinger believes he will represent the people that live in Ward 3 based on his previous political experience. I think people should form their own opinion on who they want to vote for by researching the candidates, particularly my opponent’s history of representing Ward 3. I know I can represent the people that live in Ward 3 in many other capacities that would ensure four years from now, there isn’t a question like this when I’m running for reelection. Fernandez’s answer is a cop out. He obviously has no issue with Meisingers behavior. Looking at their signs, it is obvios that they are in bed together. Josh: There certainly are a lot of Fernandez and Meisinger signs in the same yards. But that doesn’t necessarily prove coordination between the two. Though you could certainly ask Fernandez about it.